There's always been a morbid sense of curiosity towards the decline of human civilization. Works set in dystopian locations depict how far we as a society can devolve. How much closer are we to completely rejecting the many mores of life? Of course there have been those works that managed to foretell the possible decay of what it means to be civilized. Most of these predictions were made by those who for the most part didn't live to see their fiction become reality. But the few that did must've been horrified. "Later, as he sat on his balcony eating the dog, Dr. Robert Laing reflected on the unusual events that had taken place within this huge apartment building during the previous three months." So opens J.G. 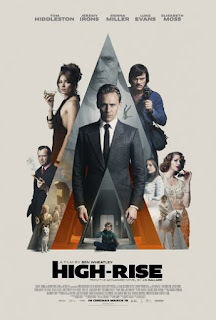 Ballard's High-Rise, establishing the novel's bleak nature. 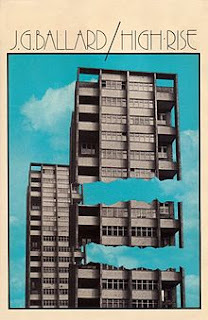 What Ballard shows in slightly over 200 pages is the swift deterioration of the titular high-rise's residents and their self-inflicted isolation from the rest of the world. While staying mostly true to Ballard's vision, Ben Wheatley's adaptation does feature an out-of-place element of optimism. (The foreshadowing throughout is also rather blatant.) The level of debauchery is amplified further in Wheatley's hands, which adds a strange, calming dissonance in some scenes but deep-seated horror in others. So which is better: Ballard's novel or Wheatley's film? Ballard made no bones about the inevitable collapse of civilized society while Wheatley glorifies and very nearly embraces it. (Some things are best left to the imagination.) Though it's clear which one's the preferred one. Federico Fellini is easily one of those directors that has a very distinct style to his storytelling. Many other directors have been influenced by the Italian visionary but there can be only one Fellini. Only he could have made the films accredited to his name. His most personal film was a remembrance of the small town he grew up in. That film was Amarcord, a work with as much surreal whimsy as many of his earlier titles. But this particular film has a charm to it that can't be found in Fellini's other work. Amarcord revolves around the townspeople of a village in fascist Italy (meant to represent Rimini, the village Fellini grew up in), the many quirks and charms held within this old town. Many films in the years to come would focus on the quaintness of small town life but only a few would match up to Fellini. As stated earlier, Fellini is one of those directors with an almost overwhelming sense of creativity. With Amarcord, he adds a more personal touch to his imagination. It's a film about nostalgia, an aspect only a select few of creators can capture well. But Fellini does so with complete ease. 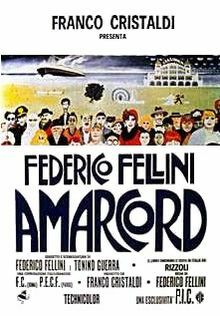 Amarcord is a generous film, a trait often seen in Fellini's work. It's the kind that wants the viewer to watch the story presented before them, nothing more. It's a concept only the true storytellers impose and again, Fellini was such a person. 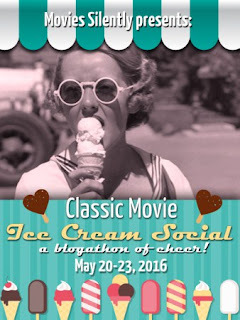 Fritzi of Movies Silently is at it again with a new blogathon, this one being about your favorite feel-good movie. Admittedly my choice isn't really something along the lines of this particular category but I get a warm, fuzzy feeling when I watch it. So what's the film? Nominated for four other Academy Awards (alas winning none), this is one of those based-on-real-events films that holds up on re-watches. (Not many of those hold that honor.) And quite honestly, it's perhaps one of the best films from the last decade. History more often than not tends to take a backseat when it comes to movies (especially those from Hollywood's Golden Age). Admittedly most moviegoers are more interested in action (and perhaps a little romance) than a history lesson. Sure, some focus more on the facts than the spectacle but it's still a rarity. 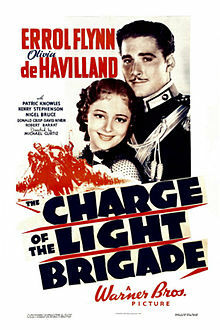 Michael Curtiz's The Charge of the Light Brigade is no exception. But when you have a film starring Errol Flynn (and his leading lady is Olivia de Havilland), the outcome is obvious if you've seen any of his films. That said, however, it's surprisingly solid beyond its many action sequences. Altered facts of the real-life events aside, The Charge of the Light Brigade does maintain the viewer's attention from the get-go. (Again, having a dashing leading man like Flynn helps.) As is frequently the case with Curtiz and his films, he knows how to entertain his audiences. Though it was quickly overshadowed by the next film between Curtiz, Flynn and de Havilland two years later, The Charge of the Light Brigade still holds its weight after all these years. It's a bit long in the tooth in some scenes, yes, but that's to be expected. Why? It's an Errol Flynn picture, that's why. It's true that sometimes a woman-directed film solely gets recognition if they're of a raw, gritty and brutal nature. (The films of Kathryn Bigelow, Lynne Ramsay and Andrea Arnold usually apply.) But it's frequently the lighter woman-directed films that tend to get overlooked. 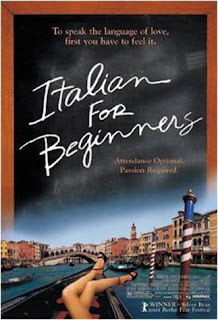 Lone Scherfig's Italian for Beginners for instance tends to get lost in the shadow of her later film An Education. (The latter film isn't darker per se but it isn't a bed of roses either.) But earlier in the decade, she made a charming little film about people trying to change their mundane lives. 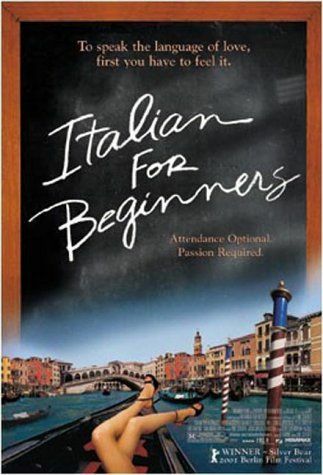 Italian for Beginners focuses on a small group of people in a Danish suburb whose sole connection is a class of Italian lessons done mainly for a temporary shift in their weekly routines. Their lives are remarkably ordinary outside the classroom but something changes once they've stepped into it. Anyway, Italian for Beginners is a deeply charming film. Much like the other entries of the Dogme 95 movement, it doesn't need any big spectacle to maintain its image. It only needs a good script and a keen eye, and Scherfig provides both. Ah, the crime caper. A genre that only a select few can do well. Such a work requires an even balance of comedy and action, a formula of a certain difficulty to some. However, there has been one name that's made the genre his own. That person is Shane Black. When someone has titles like Lethal Weapon and Kiss Kiss Bang Bang, it's clear that he has a firm grasp of what's to be expected from the genre. 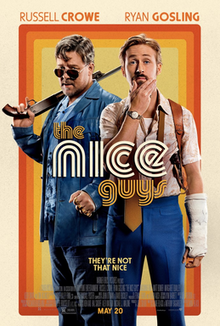 So how has he done with his latest The Nice Guys? Well, one thing's for certain: eleven years may have passed but Black's knack for writing hasn't dulled since his directorial debut. With elements borrowed from the likes of The Long Goodbye and Night Moves (to name a few), The Nice Guys captures the essence of the 1970s amid the plot of various mysterious occurrences. And as is the situation for the genre, these supposedly unrelated instances have a tying factor. As of late, a number of films have been focusing on the state of the economy. Some use it as the motive for a zany scheme in a comedy. Others as a means of a high-stakes thriller. Either way, you tend to get at least a decent film. So how does Jodie Foster's Money Monster fare? (Pun not intended.) Indeed it does highlight the aftermath of financial decisions but something in Foster's execution that feels off kilter. That said, how does the rest of the film's many elements work? 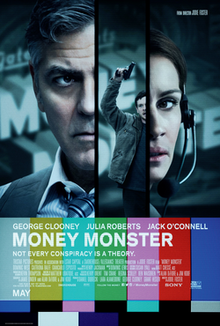 Money Monster features a solid roster of actors: George Clooney, Julia Roberts, Jack O'Connell, Catriona Balfe and Dominic West. And Foster ensures consistent from them all, O'Connell in particular. But again, the film's pacing limits the actors considerably. How so though? Well, Money Monster starts with all pistons running but for a film with a running time of 98 minutes, that can only last for so long. (It starts to give way about halfway through.) Still, you have to admire the crew's tenacity. From the late 1970s to the early 1990s, Harrison Ford was easily the biggest box-office draw. (With the original Star Wars trilogy and the first three Indiana Jones movies being released within that time frame, it's easy to see why.) But his fare of that time was strictly of the blockbuster variety. 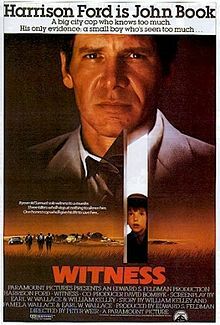 In 1985, he starred in Peter Weir's Witness. It was proof that Ford was capable of more than just Han Solo and Indiana Jones. (Further proven by him getting an Oscar nomination as a result.) He may be known for his various action movies but Witness proved he could act. But what else is there to Witness than Ford's performance? 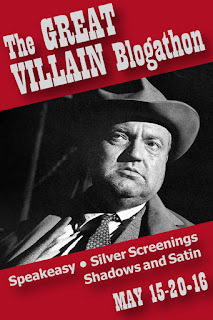 As the title implies, it's a film of a criminal nature. But it's also a fish out of water story, admittedly the kind that could collapse if in the wrong hands. However in Weir's hands, he makes it work. Witness also makes for a good examination of how people live. Being primarily set within an Amish community, it depicts how far from the world of electronics and menial attitudes toward life it is. Seeing those of a more pious nature retains a sense of restored faith (so to speak). Long story short, Witness is thoroughly solid from beginning to end. However there is one element of the story that feels off-putting, especially considering the details established early on in the film. (Hollywood nonsense strikes again!) Still, what Weir does with the film's other elements makes up for it a considerable amount (but just barely). A woman's maternal instinct is something unlike anything else, something indescribable. It's a burning passion that can never be extinguished, a force that can't be moved. And fiction tends to shine a light on the subject of motherly devotion. One such work is William Nicholson's Firelight. Set in the mid-19th century, it's a story of unwavering loyalty. The kind of which that simply burns in the heart of one person. (God help you if you get between that person and what or whom they're devoted to.) And there's more than one type of devotion throughout. 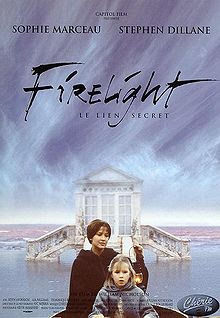 Firelight is reminiscent of Jane Eyre and other stories of the same variety, namely because of certain elements: the female lead with a troubled past, the brooding male lead, the large home that has its own story to tell...it's clear that Nicholson did his research prior to making it, ensuring that they're not slipping into cliche territory. But Firelight also provides some stunning cinematography from Nic Morris. From harsh grays and blues to warmer oranges and yellows, the use of color throughout the film establishes mood and what the characters are feeling. A familiar technique in visual media, yes, but one that works if done properly. Though following the usual conventions of the genre, Firelight is quite beautiful in its execution. It's a quiet work that eschews the grand declarations regularly found within the genre. It's about what's shown, not what's said. All you do is pick a movie villain to cover, and then have a ball hailing the hateful and heinous, contemplating the corrupt and evaluating the evil. Villains from absolutely any era, country and genre of film are welcome. My film felon of choice for this, you may ask? Why this performance? Well, a few reasons. One, it’s one of several forgotten Oscar-nominated performances that I consider a favorite. And two, I wanted to cover something a little more unconventional. 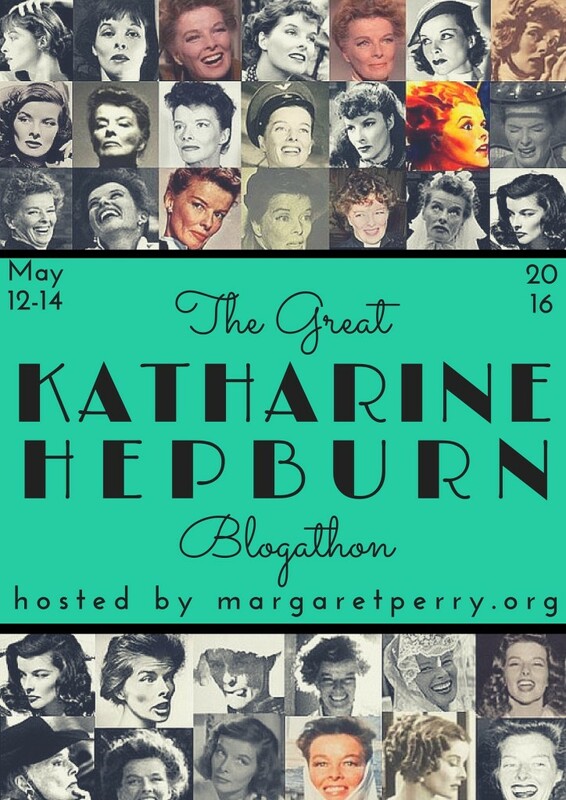 For the third year in a row, Margaret Perry of her self-titled blog is doing the Great Katharine Hepburn Blogathon in honor of the four-time Oscar winner's birthday. This time around I decided to chip in. My film of choice? Of Hepburn's extensive filmography, this is one of my favorite films of hers. 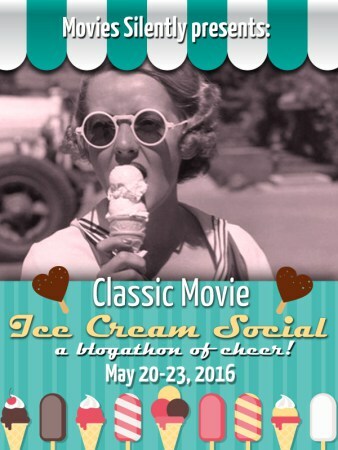 (The Philadelphia Story is also among that list.) Though like a number of her later films, it tends to get overlooked in favor of Bringing Up Baby or Adam's Rib. Why that is, I can't say. Mark of three rows back and Tom of Digital Shortbread have brought back their Decades Blogathon, which is the theme is to discuss a film released in a year ending in six. Last year, I wrote about Mildred Pierce. So what am I writing for them this year? Admittedly this was just an excuse to re-watch it but I was overdue for a re-watch, especially considering Nichols' passing not that long ago. What struck me upon re-watching it was that it still works after half a century (! ), something not many other films of the 1960s can attest to. Between his last venture as Batman and his Oscar-nominated comeback in Birdman, Michael Keaton had a career of varying highs and lows. He basically went from leading man of the 1980s to character actor of the 1990s and 2000s. Regardless of that career shift, Keaton remained a welcoming face in the films he appeared in. The Merry Gentleman features some solid work from Keaton and Kelly Macdonald. (There's also a chilling one-scene turn from Bobby Cannavale.) As with other noirs, the dynamic between Keaton and Macdonald's characters is a complex one. By the time the 1990s rolled around, those of the Generation X crowd were beginning to make their presence known throughout media. They expressed the plights of middle-class America, the ups and downs of causal encounters, and the sometimes harsh realities of living on your own. It doesn't take long to see that Amelia (Catherine Keener) and Laura (Anne Heche) are of different temperaments. Laura is confident in her personal life but not her professional one. Amelia meanwhile is more insecure in the former department. These are character types that are still seen in media today. 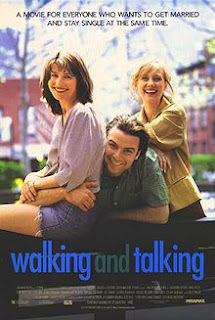 Walking and Talking also depicts how even as one's in their thirties, they still don't know what to do with their life. (Well, Friends also showed that but the point still stands.) It's worth mentioning that there's no deadline for having your life in order. Just take small steps for those things. Walking and Talking shows that Holofcener displays a different approach to depicting everyday life. Similar to Girlfriends nearly twenty years prior, it highlights something seldom seen nowadays: female friendship. Frequently fiction shines a light on covering up a crime. More often than not, murder is found to be the best solution. (Unfortunately some people have found that to be the case in real life.) But what small misdeed could motivate such a horrible act? Some do it to hide financial woes, others to balance out their messy double lives. As Jeremy Saulnier's Green Room shows in gruesome detail, murder is used as a means to eliminate witnesses. It's cruel solution to an already cruel (and sometimes senseless) deed but who could be cruel enough to do such a thing? 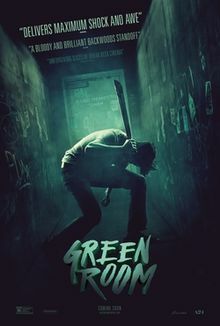 Green Room is a film of a deeply visceral nature. Indeed many scenes are meant to shock its audience (this is definitely not for the faint of heart), something only a few filmmakers are willing to do. Saulnier by the way has a promising career ahead of him. Every now and again, an actor decides to step behind the camera. Sometimes they pursue that as a career while other only make the one film as a director. Regardless of what follows for those first-time directors, it's still interesting to see what they can offer to their audiences. 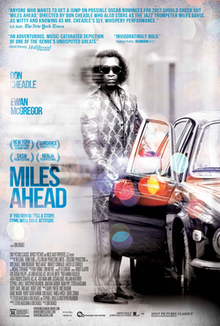 So how did Don Cheadle fare with Miles Ahead? Taking on the many duties of the film (including director, star, producer and co-writer), Cheadle clearly has a lot on his plate. But how well does he balance these many tasks? Miles Ahead has its flaws but Cheadle does capture one thing very well: the legend that surrounds Davis to this very day. Indeed Davis was a man with flaws (Cheadle makes no bones about that) but the impact he had on the music world is one that could never be tarnished. 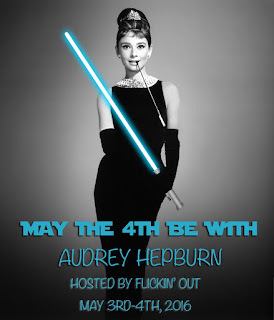 So Diana over at Flickin' Out has gotten fed up with a particular day of the year being associated with Star Wars. 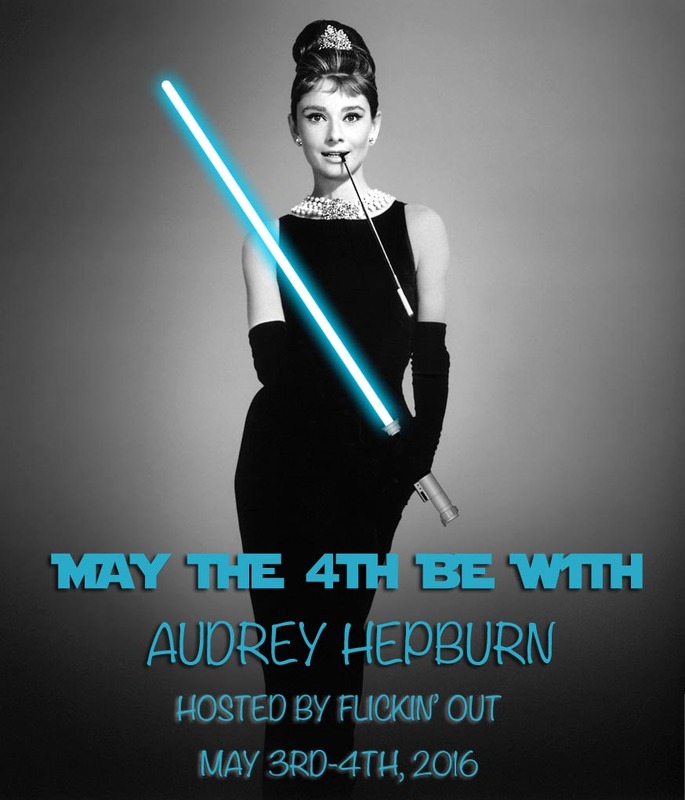 In response to this, she decided to honor another significant event that occurred on the fifth month's fourth day: the birth of Audrey Kathleen Ruston, better known to moviegoers as Audrey Hepburn. 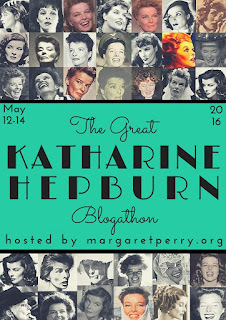 Of course with Hepburn being a popular name amongst classic Hollywood fans, many of her titles were claimed by other bloggers for this event. So what I decide to discuss? Lesser known than the most noted works for both Hepburn and Zinnemann, it's a film that I claim as one of my favorites. And I'm not sure how many of you have seen it but I hope by the end of the post you'll be seeking it out.